Cousins Alex Valuntas and Jacob Sussman share a lot in common. They’re both juniors at Parkland High School. They both play basketball. And they both love summer camp. 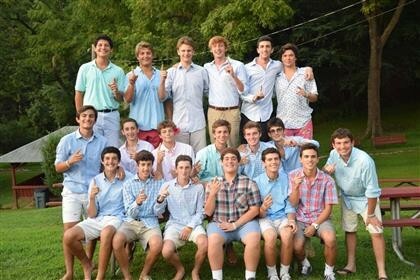 After spending eight years as campers at Camp Saginaw, a co-ed sleepaway camp in Chester County, Pennsylvania, the boys are ready to embark on their next adventure. Both have applied to return to Saginaw this year as counselors and are eagerly waiting to hear if they get to make the trip back to their beloved summer home. Tradition and friendships are what have kept the boys coming back to camp year after year. That’s what they love most about camp, and what they’re most looking forward to passing on to newcomers. If the cousins get the chance to lead bunks of their own this summer, it will be to teach others the songs and annual customs they’ve cherished at their favorite camp. They have loved their time at Saginaw over the years, and they have advice for any kid considering spending their first summer away.